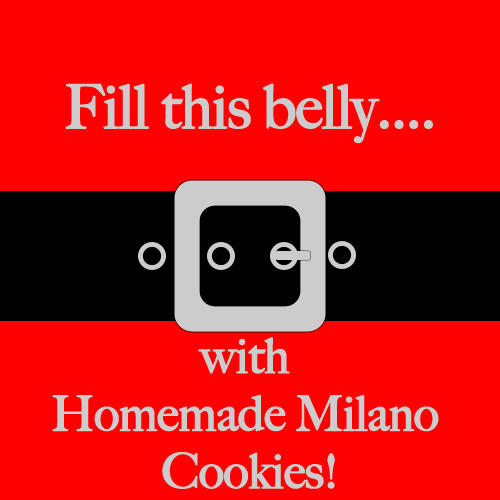 >Oh, I love milano cookies! 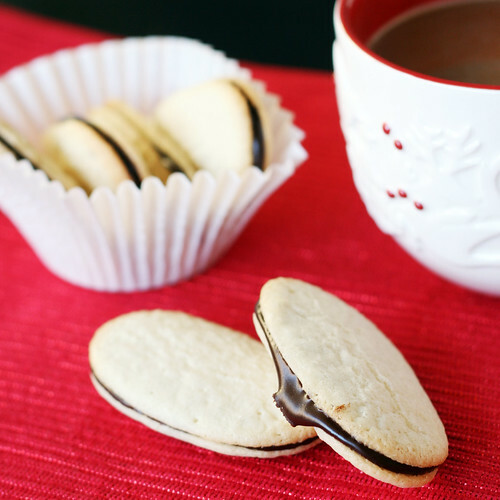 These would be such a fabulous neighbor treat…if they ever made it out the door. They are so elegant! >My mom loves these! I'll have to make them for her sometimes. >Stop it, I need these in my life right now. Milanos were my favorite growing up. I am making these ASAP. 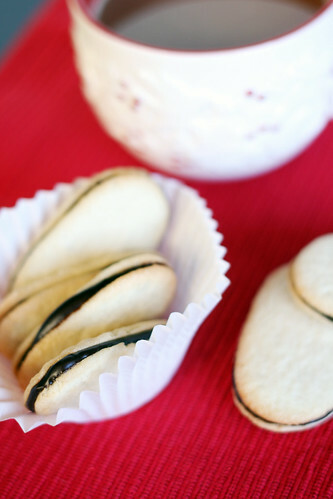 >These look amazing…might put my mad scientist on and see if I can make a gluten-free version. Great idea! >I've been trying to figure a third treat to include in holiday goodie packages, and this is so it. Provided I don't eat them all myself! >How many cookie sandwiches did this recipe yield? 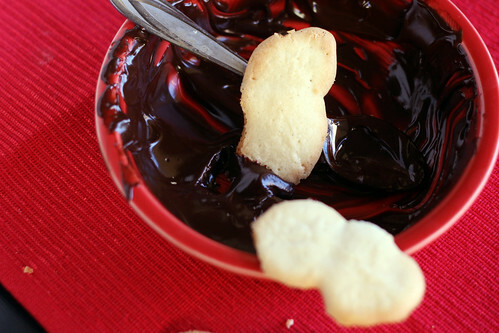 I want to make these for a cookie exchange and need to know how many batches to make. Thanks! 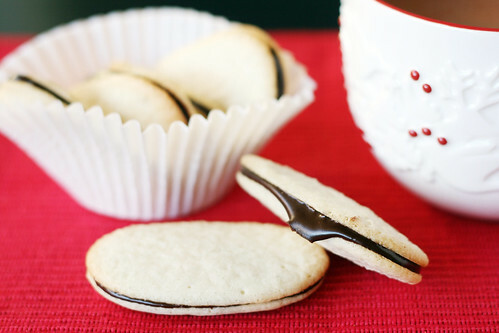 >@Jessica – you should be able to get about 3 dozen sandwich cookies from this recipe. Hi Allison! I had to look it up, but it looks like caster sugar is same thing as powdered sugar/confectioners sugar! Also, it is meant to be 7/8 (0.875) of a cup, about 7 ounces or 200 ml. Oh my gosh! And store bought costs so much for so little. I can get, what did you say, about 3 doz sandwich cookies out of this (and for about the same cost)! Awesome. I am so glad I came across this. I love Milanos, but I never buy them because of the cost. Thank you so much! Can these be made without egg yolks? my mom is not vegan but do not eat eggs, red meat, poultry or seafood. and I love these cookies so want to make them for her. Please let me know how can I substitute eggs for this recipe.